Attention West Lake Texas! Certified locksmith services guaranteed. You have just uncovered your choice West Lake locksmith for high quality services. The way that we see it here at Henry’s Lock and Key is that you hired us to receive professional locksmith services. – And you will get just that! When you choose to hire our West Lake locksmith services we guarantee that our locksmith techs will provide you with the highest level of integrity, parts used and friendly customer service. That is what we do! Full range of highly specialized locksmith services. What locksmith services do you need? We have the perfect locksmith service that you need. We will assist you today. With a full range of highly specialized locksmith services you are sure to receive the upmost level of expertise when you decide to call us. Congratulations! You have just discovered Henry’s Lock and Key. 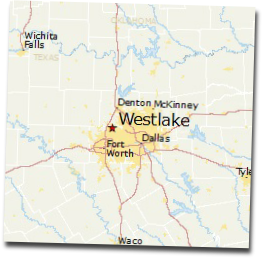 We are West Lake Texas’ finest locksmith service. We will help you. People love our locksmith services in Westlake. Over the last several years we have grown our locksmith business into one of the leading providers of locksmith services. How have we been able to accomplish so much in so little time? It is the technicians that we employ. We only employ certified locksmiths for all locksmith calls to Westlake. This means that you the customer will receive a locksmith who is trained and knows what tools to use for your particular application. This means that every job that we do here at Henry’s Lock & Key is sure to be at the top of the industry when it comes to quality and excellence. Open 6 days a week to provide specialized locksmith services in West Lake Texas. We know that things happen unexpectedly. So, what’s next? Call us. We keep our doors open for mobile locksmith services 6 days a week for all emergencies. (Closed Sundays) Save our phone number because you will need us! 512-400-0004 Our friendly customer service staff is waiting for you to call us now.